Melbourne is so obsessed with donuts right now, but I think I may have just found the next sweet thing this city will fall in love with – scrolls. 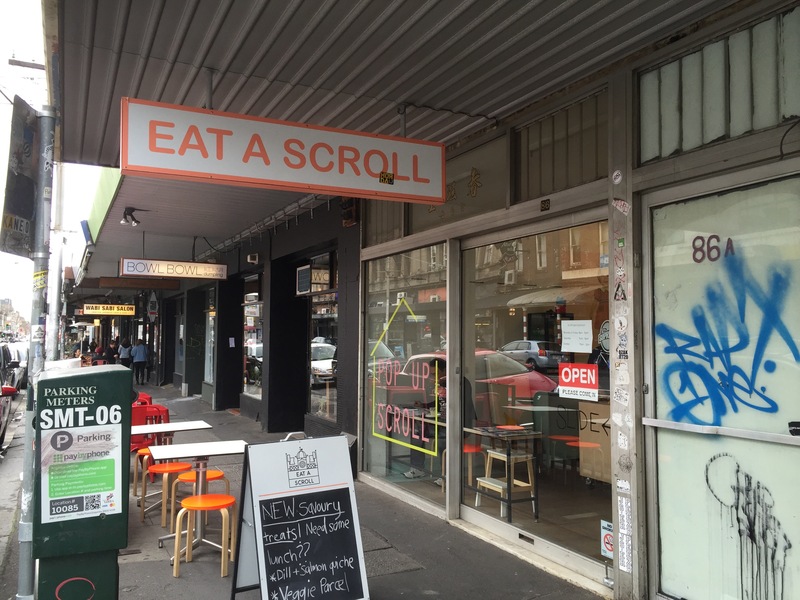 You’ll find all the scrolls you could ever want at Eat a Scroll, and they really seem to be onto something here. The staff are very friendly, the store isn’t too much to look at but there’s heart here, a kind of shabby sheek that makes you feel at home. I seem to have got so distracted by the sweet delights at Eat a Scroll that I entirely neglected to tell you where it is. 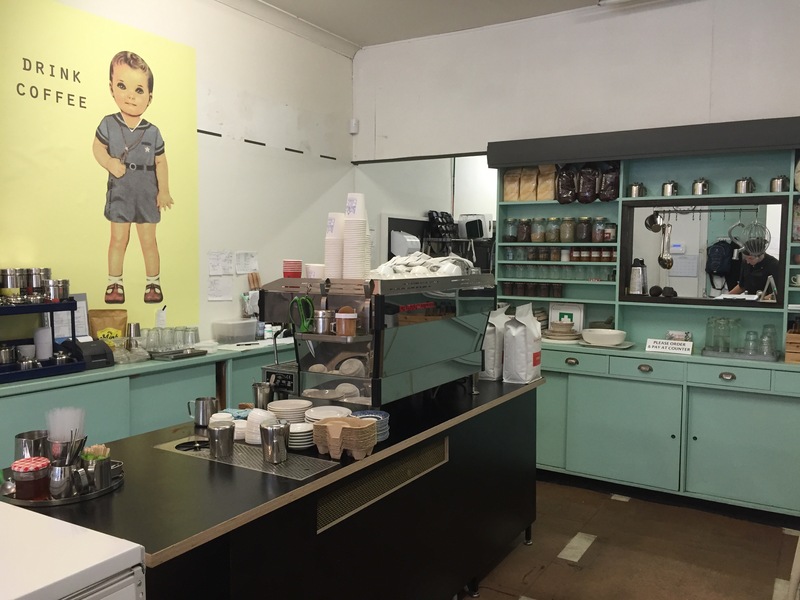 It’s suitably located in Fitzroy in the heart of infinitely cool Smith Street. The rumours are true, it is moving, but only a few doors up so there’s no need to worry! On weekends Eat a Scroll have a full range of sweet delights on offer. There’s so much choice it’s practically paralysing. 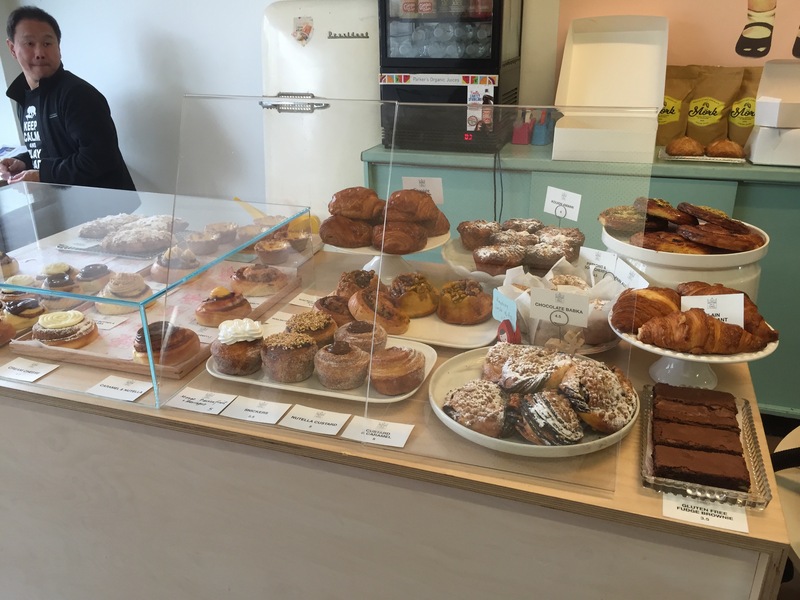 All of the scrolls, the cruffins, boring old regular croissants and muffins, the pastry and the toppings and fillings to capture the imagination. 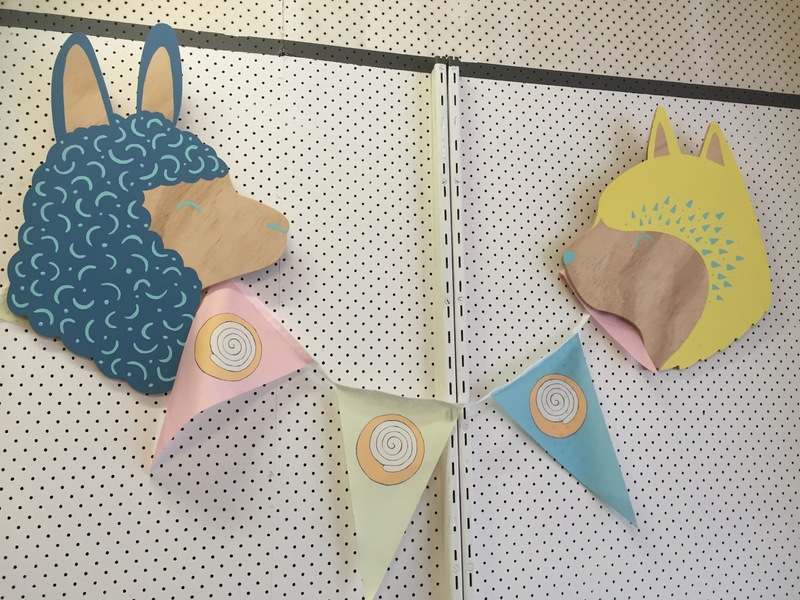 We took the easy way out, electing a selection of the miniature scrolls, two cruffins and something else a little bit special only offered on weekends. Right so first things first – the scrolls come in a delightful array of flavours including snickers, Nutella, blueberry and lemon curd, salted caramel and apple. That’s just to name those we tried! Each of the scrolls were soft and fresh, with fillings that were utterly indulgent and generously served. 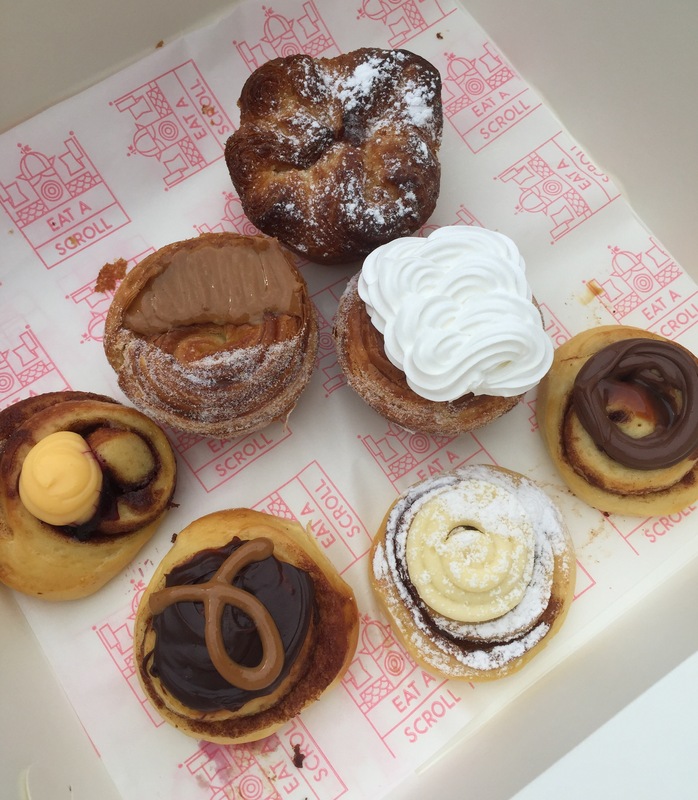 The cruffins lived up to their name with the light and flaky pastry of a croissant with the size of a muffin and dusted liberally with sugar. The salted caramel was a definite highlight! Eat a Scroll is an absolute must for lovers of sweet delights combined with every kind of delicious pastry you can imagine! Their scrolls are amazing! Definitely some of the best in town.